The northernmost of the four twin-towered apartment houses that give Central Park West its distinctive skyline, the Eldorado is one of the finest and most dramatically massed Art Deco residential buildings in the city. 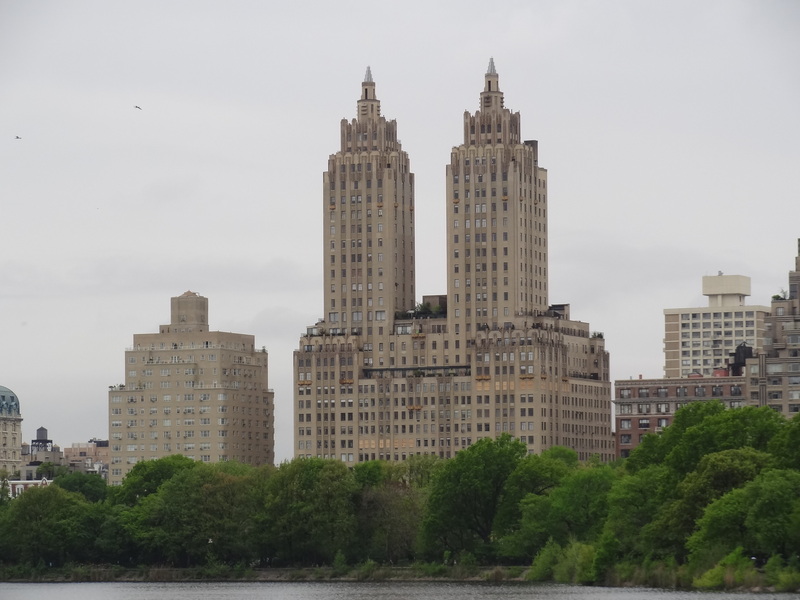 The form of the building, with its massive base and twin towers set at the Central Park West corners, closely resembles the massing of the nearby San Remo, which was also completed in 1930. The Eldorado towers rise free of the seven stories base for twelve stories. Each is six bays wide on CPW and faced with tan brick. Futuristic, rocket–like pinnacles crown each tower and an angular frieze runs above the third floor. There are stylized brick spandrel panels below many of the windows, and angular balconies with zigzag panels. Construction of the Eldorado coincided with the stock market crash of 1929, which led to the collapse of the real estate market. Despite financial and labor problems, the building was completed in 1930, but the owners experienced rental problems and finally defaulted on loan payments. The Eldorado has attracted many residents of note, particularly people associated with the arts, such as Milton Avery, Carrie Fisher, Groucho Marx and Marilyn Monroe.